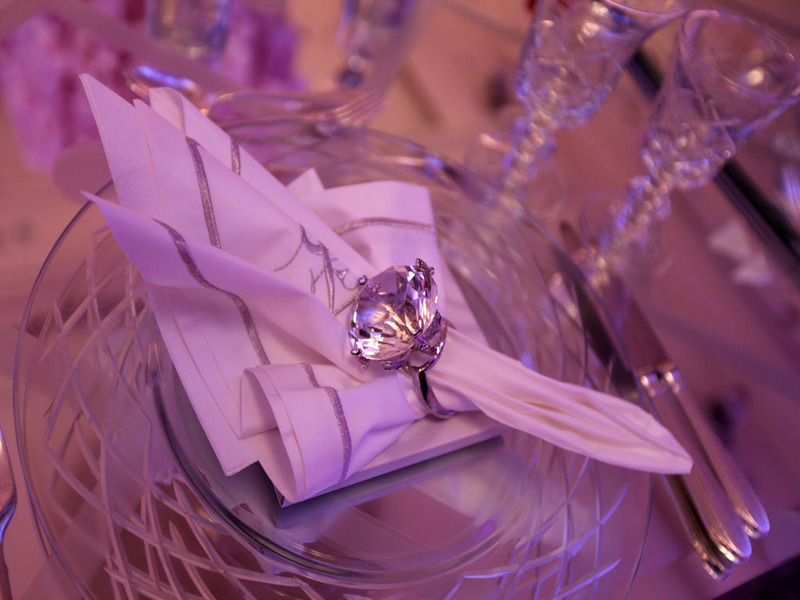 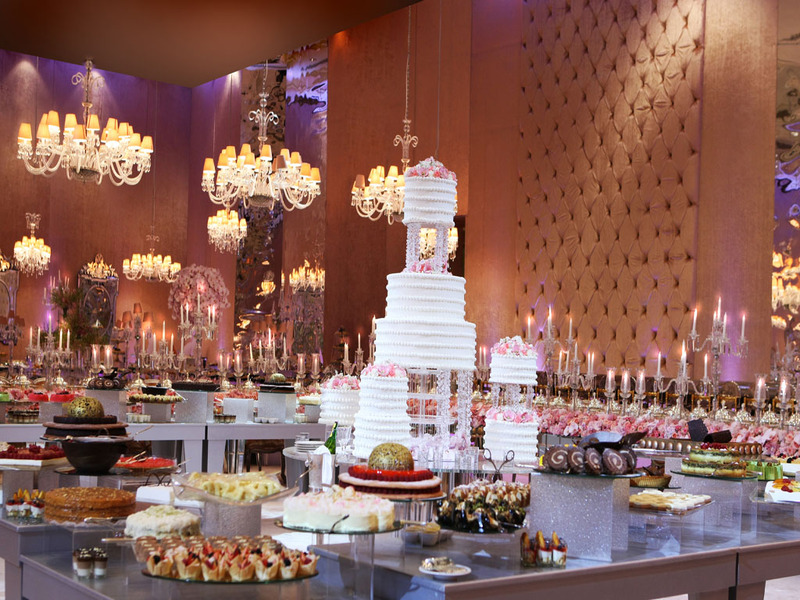 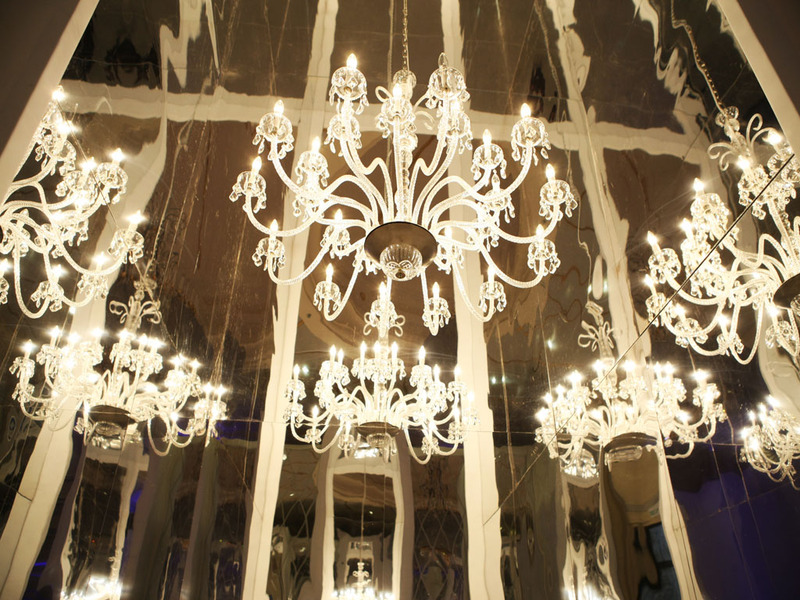 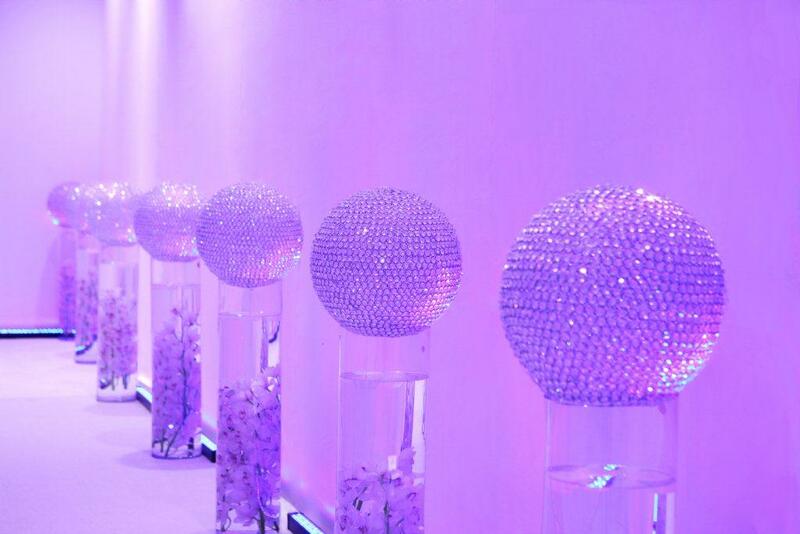 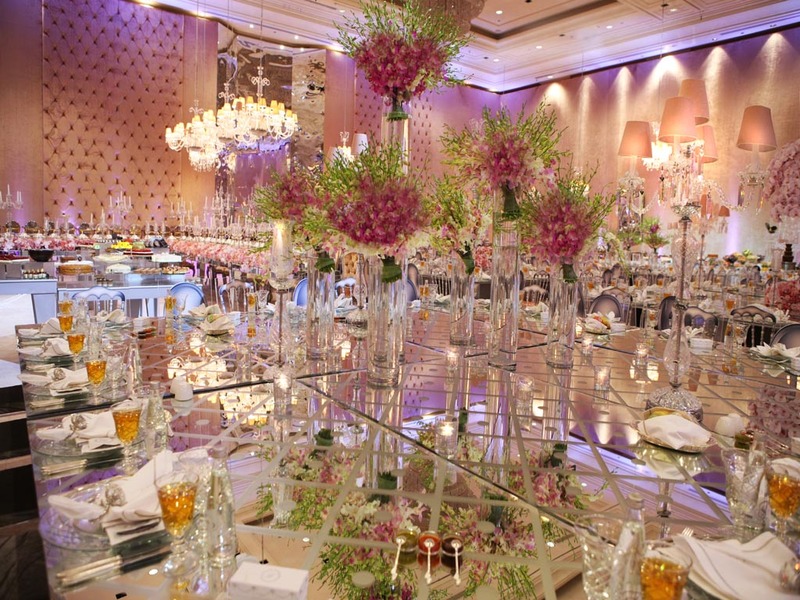 The dinner section glinted with multicolored orchids and dazzling chandeliers in the centerpieces. 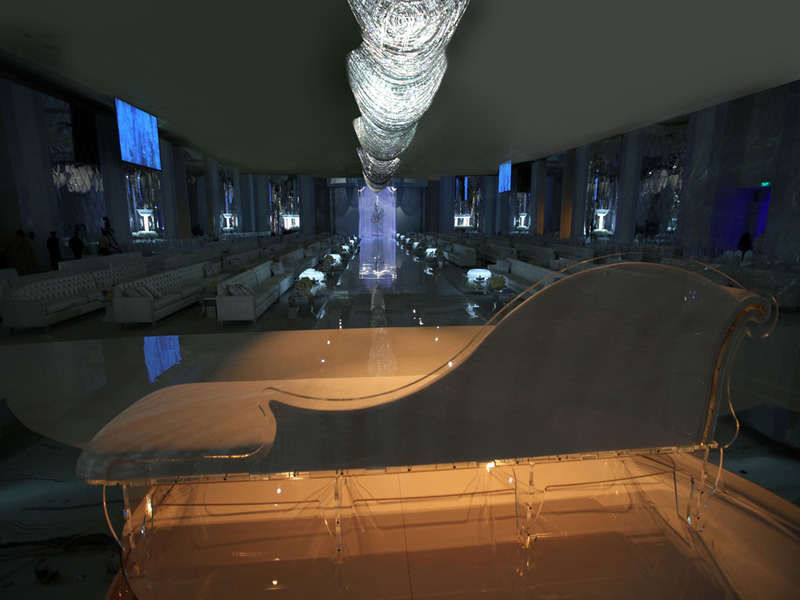 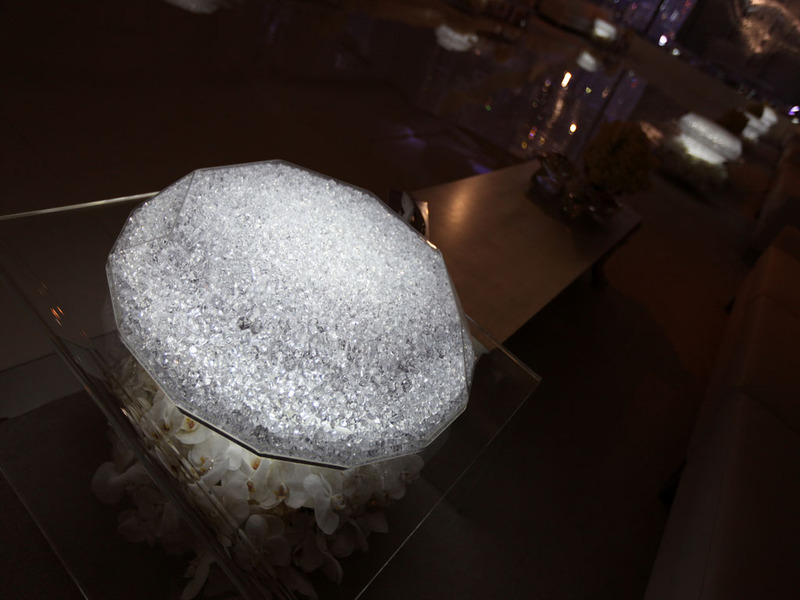 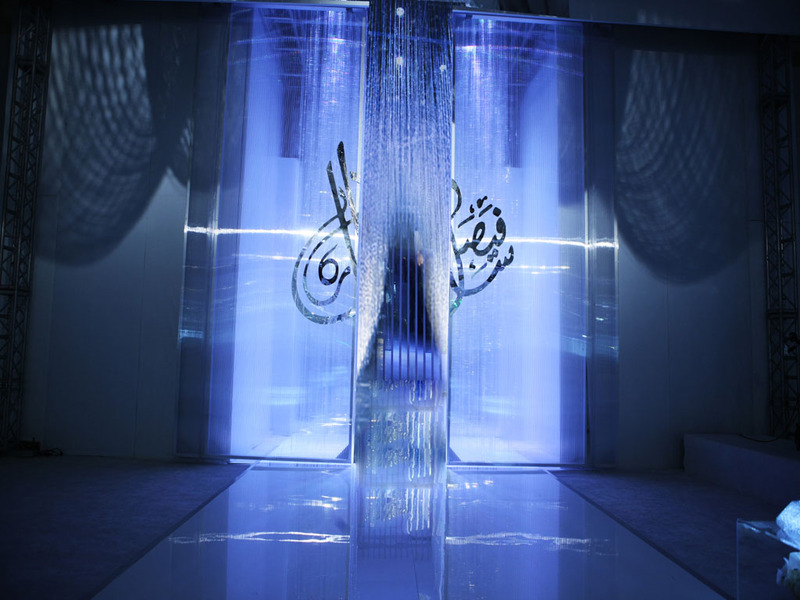 The customized plexi chairs were given a distinctive and touch with the different designs on their back. 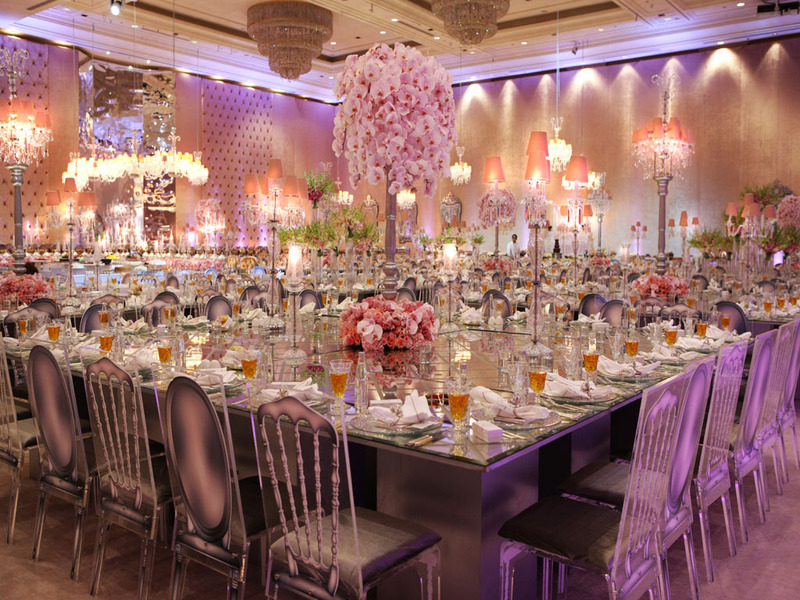 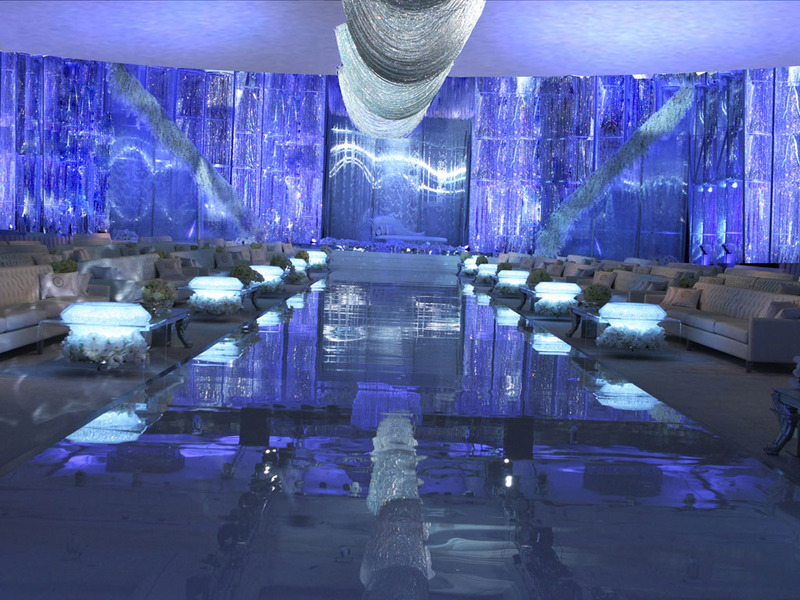 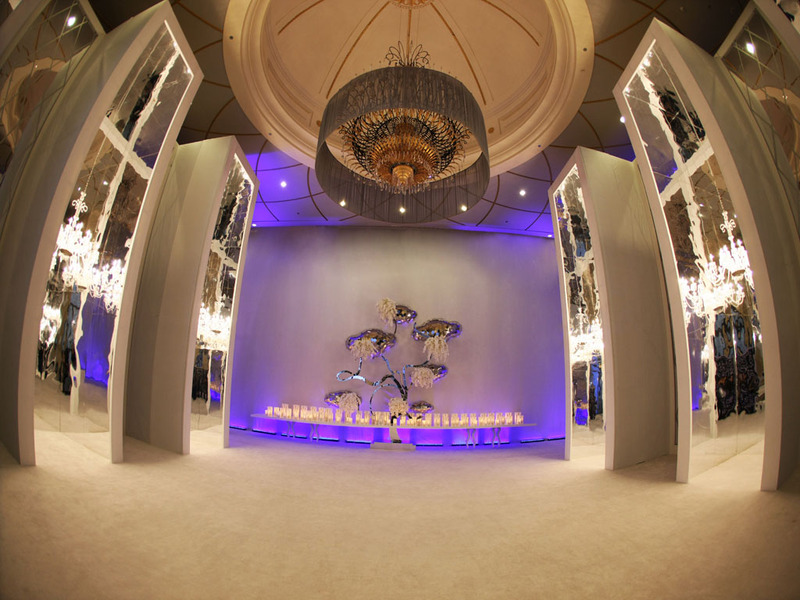 The enormous square tables with mosaic mirrors on top added a beautiful reflection to the entire space.